We offer single or double-sided outdoor banner and flag printing to your size and shape specifications. Perfect for signage, advertising, trade shows and retail use. 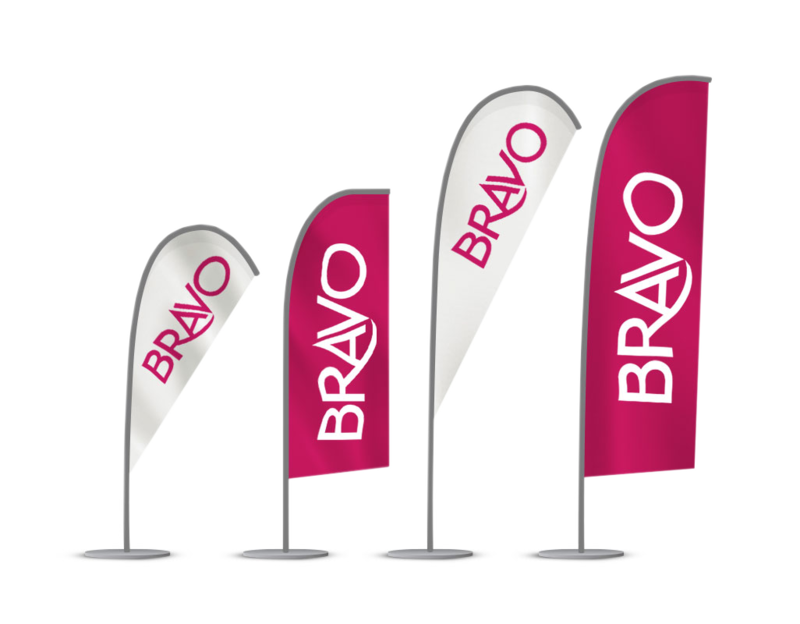 Bravo Print & Design offers single and double sided outdoor banner printing in a wide range of shapes and sizes. We can also create custom flags to suit any outdoor banner system. Why Choose Our Outdoor Banners? Designed to withstand harsh Australian conditions, all banners are extremely durable and feature sun and weather resistant colours. Because they utilise Silicone Edge Graphics, systems are lightweight, durable and versatile. For more information on our outdoor banner printing, please get in touch with us today. We’d be happy to chat to you about how a Silicone Edge Graphics system can work for your project.